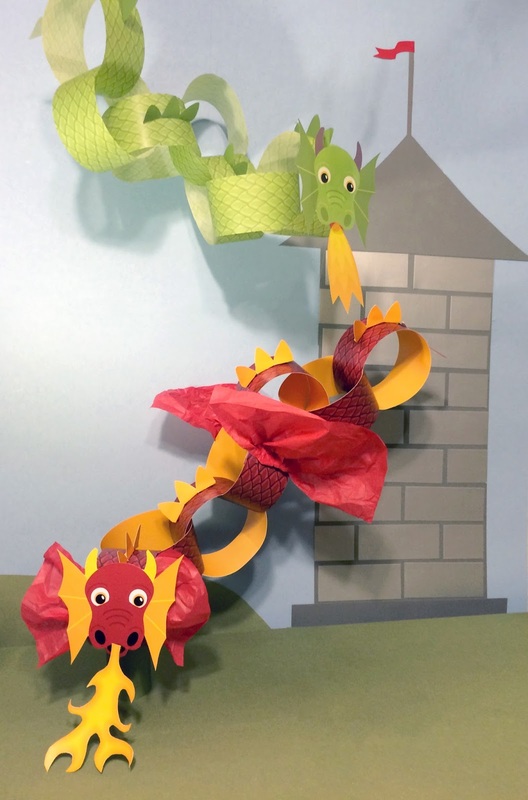 This DIY Dragon Party Craft can be printed and assembled in about 20 min. Fun for your dragon party, knight party or even princess party! Optional: Choose a solid color to print on the blank side of your printed Dragon Craft sheets, so you see that color on the inside of the loops when assembled. LOOP TOGETHER. Create a paper chain, using tape or glue to secure each loop around the next, as shown on dragon craft PDF. Attach your dragon head to the front of first loop. ADD A FLAME. Choose a flame, if desired, to attach at the mouth. ADD DRAGON SPIKES. 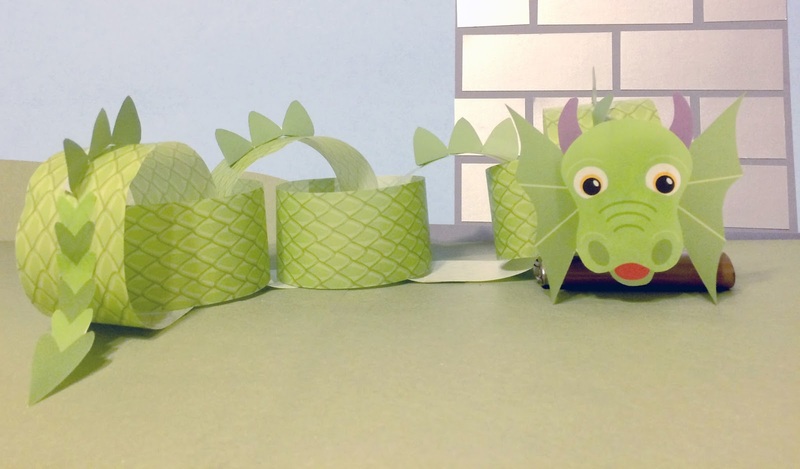 Fold dragon spikes where indicated, and attach to the top of every other loop, starting behind the dragon head. ADD DRAGON TAIL. Attach tail to the last loop, if desired. • Add "wings" of tissue paper pinched together and glued or taped in place. • Add feathers behind the dragon head, and as wings to the side loops. 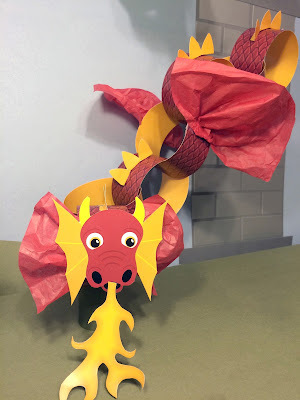 • Add glitter to any area of the dragon, or add more spikes cut out of glitter paper. • Cover printed eyes with bigger googly eyes. • Add more colorful paper spikes or legs. • Add a flame made of orange and yellow tissue paper. 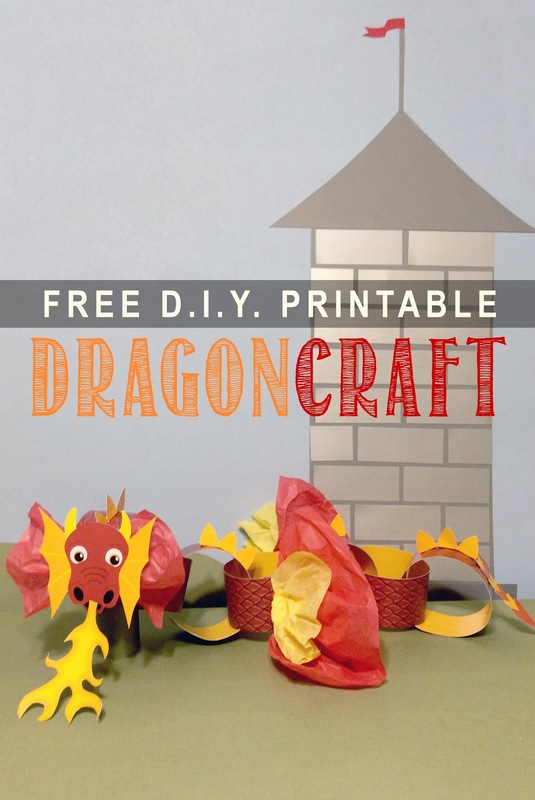 Hi Sara, Love these dragons any chance I could get the print your dragon PDF. the links above do not work? I can't get the link to work? I would love to make this with my kids. Is there anyway I can get the PDFs? Hi there. These are beautiful, but the links don't seem to work. Is there any way to get the files? Hi Sara, I love this activity, do you have a black and white PDF where the children could colour in the dragon? Thanks!